Don’t you just hate digging into an orange or a lemon with your bare hands? I specifically hate it when the skin gets under my nails or when my hands get a little bit sticky when I accidentally squeeze an orange while i’m peeling it. 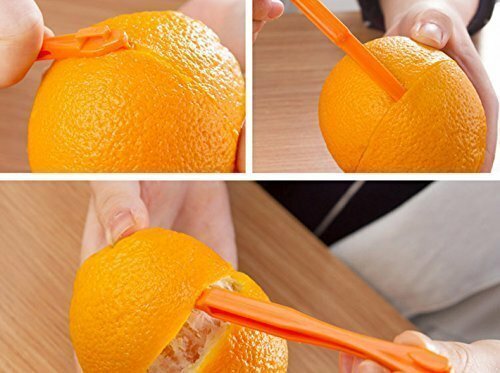 If you wish to peel oranges the fast and easy way, you might as well get yourself a handy orange peeler. Read this simple buying guide for the best orange peeler you can buy online to get the right peeler for your home. Which is the Best Orange Peeler? So why exactly would you want to buy an orange peeler if you can peel an orange with your bare hands just as well?Well if you ask me, there’s really only three major benefits that you can enjoy if you use a citrus peeler. The first major benefit is speed. With a nice orange peeler at your disposal and a bit of knowledge on how to use it effectively, you will be able to peel a whole bach of oranges in just a matter of seconds. Second, orange peelers allow for seamless and less messy peeling. This basically translates to no more orange peels getting stuck under your nails! Lastly, a handy orange peeler makes for perfect orange peels. If you like to use orange peels as garnish, air fresheners, or as a form of home decor, having an orange peeler will certainly help you get what you need. To ensure that you get the best value for your money, you should always have a set of factors in mind before you purchase any kind of product. Orange peelers can be made with an assortment of materials. The two most common types of orange peelers are plastic and stainless steel. Now if you ask me, no material is truly better than the other since both plastic and metal have their fair share of pros and cons. Plastic orange peelers are far more affordable, yet aren’t really durable. As for metal ones, they are far more durable and a bit kore expensive than plastic ones. Orange peelers can come in different shapes and sizes. I highly recommend going with a rather lengthy orange peeler so that you will be able to peel other fruits such as grapefruits as well. It is common for orange peelers to come in sets and pairs. 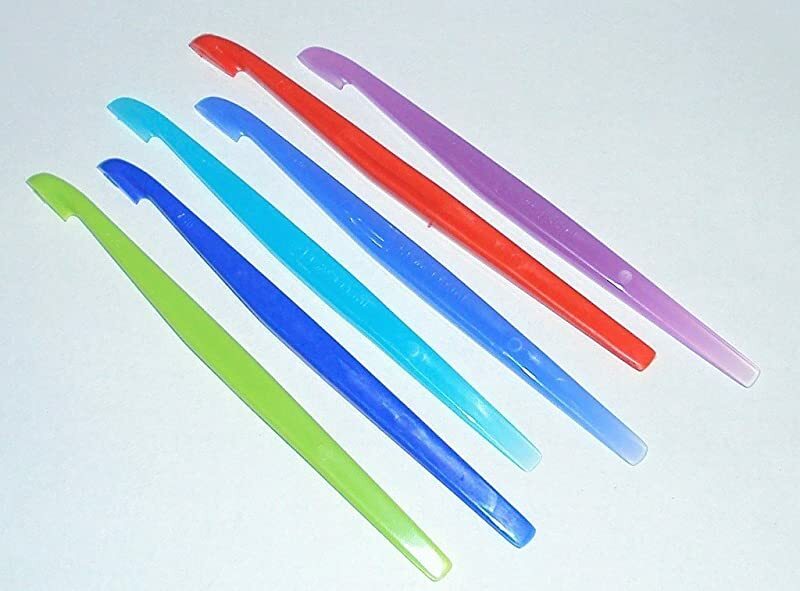 The type you should buy would of course depend on your personal preference.If you ask me, I suggest getting a pair or a set. After all, it’s always nice to have an extra piece lying around. This very simple product is a great tool that you can use to peel citrus fruits such as lemons and oranges in the quickest and easiest way possible. This product conveniently comes in a pair, so you can place one in your kitchen and the other one in your bag if you like bringing citrus fruits as snacks. This product comes with a very ergonomic design that makes it comfortable to hold and use even when peeling large batches of oranges. If you are looking for a tool that you can use to get evenly sliced orange peels, this one will certainly help you get the job done. 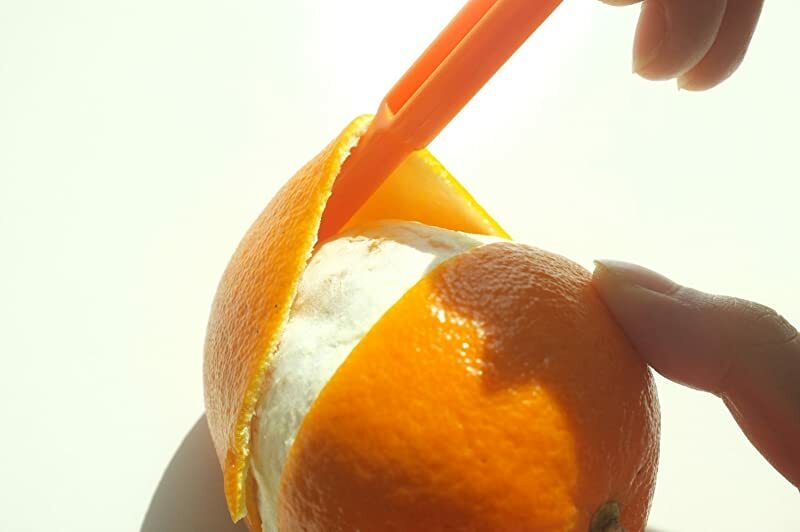 To use this orange peeler, all you need to do is take the hooked end and press it into the end opening of the fruit and drag it down from one end to the other. Do this as if you are slicing a line in the orange peel. Continue to do this until you end up with eight sliced sections. Then take the smooth end of the orange peeler and run it underneath the sliced peel to prop it off the orange. Perhaps the only downside to this product is the fact that it can easily be dented and it isn’t that durable. But for it’s price, I guess it’s a really good buy. You know what I like about kitchen tools today? They’re made to be multi-purpose! This 3-in-1 orange peeler can be used for citrus fruits, potatoes, and julienning. What I liked about this orange peeler is that it comes with a highly ergonomic design that makes it very comfortable to grip. So if you’re the kind of person who likes to eat or juice batches of oranges, this tool will help you peel dozens or oranges within mere minutes. Another great thing about this tool is the material it’s made with. This orange peeler comes with three high quality stainless steel blades that come with a sharp edge. 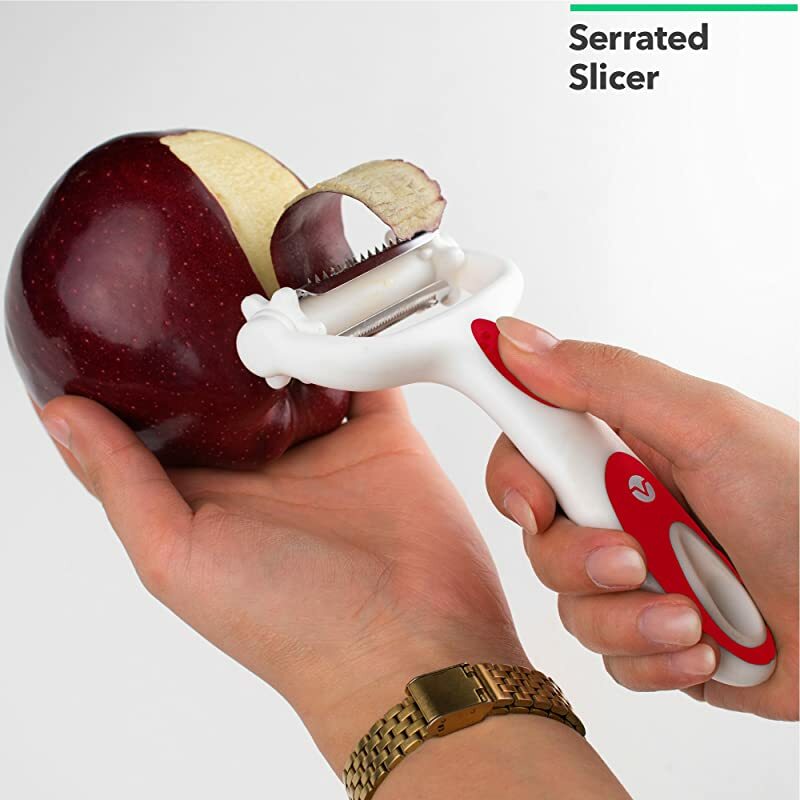 This 3-in-1 ​apple peeler includes a straight blade, serrated blade, and a julienne blade. Perhaps the only downside to this product is that it can be a little bit tricky to clean and maintain. It’s metal parts can get corroded and it’s not dishwasher safe. Do you like bringing oranges and grapefruits to school or work for lunch? 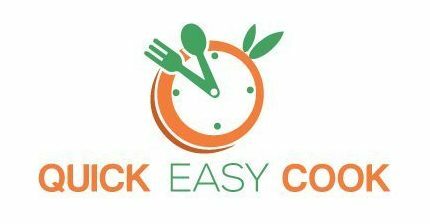 If you do, I’m sure you’d be delighted to know that you can save a large chunk of time during your lunch break with this simple invention. 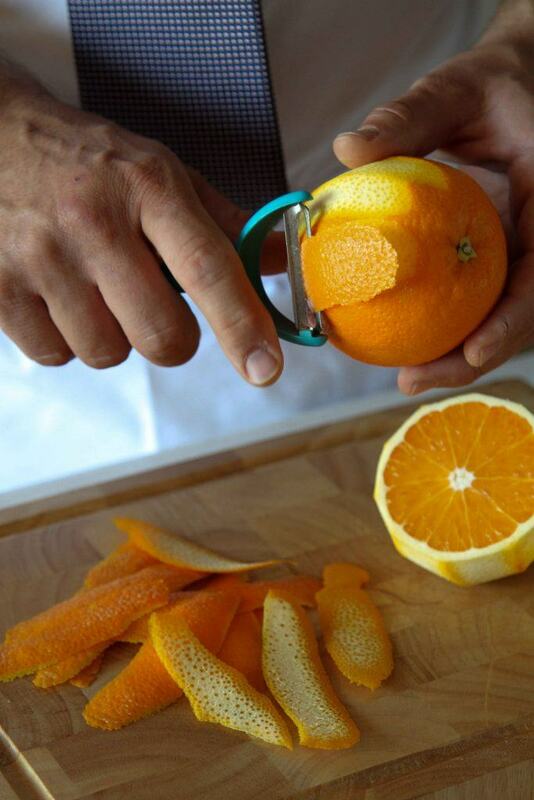 This simple orange peeler is a great tool that will provide you with speed and efficiency in the kitchen. 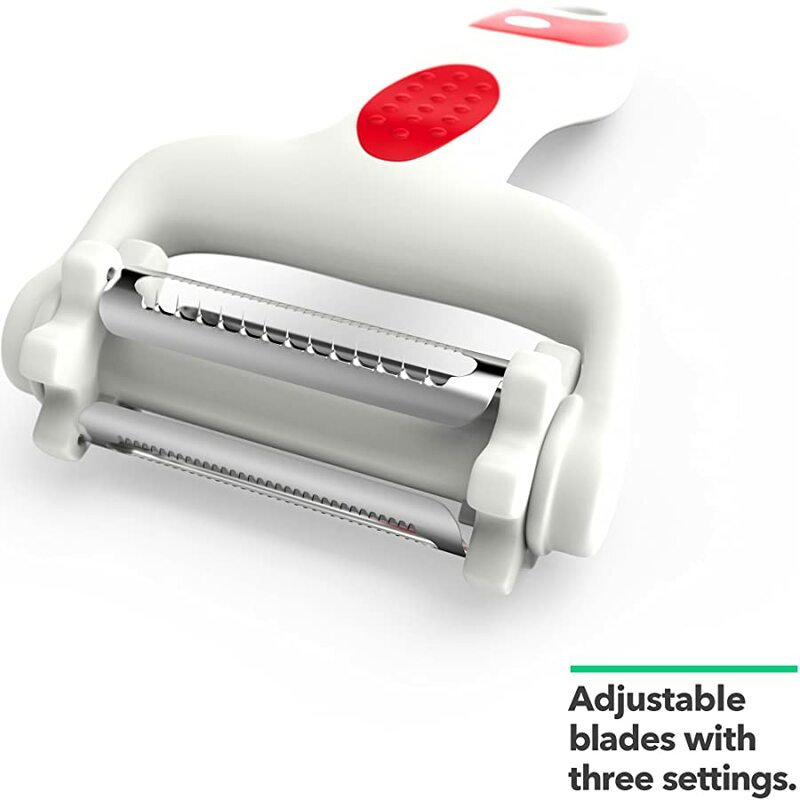 What I liked about this product is that it makes the whole peeling process very clean. Another thing I liked about this orange peeler is that it can be used for thick-skinned grapefruits as well. It’s truly a versatile kitchen tool that will make eating and preparing citrus fruits a breeze. This product is also very compact. It’s thin and very flexible, making it quite easy to stuff inside your bag or in your work drawer. However, with its thin and flexible design comes the lack of durability. This product isn’t really the kind to last you for years. It’s made with plastic material that can easily get deformed over time. It’s also not dishwasher safe. Overall this product is a great find. For it’s affordable price, you will get an effective orange peeler set that you can surely rely on to help you get the job done. 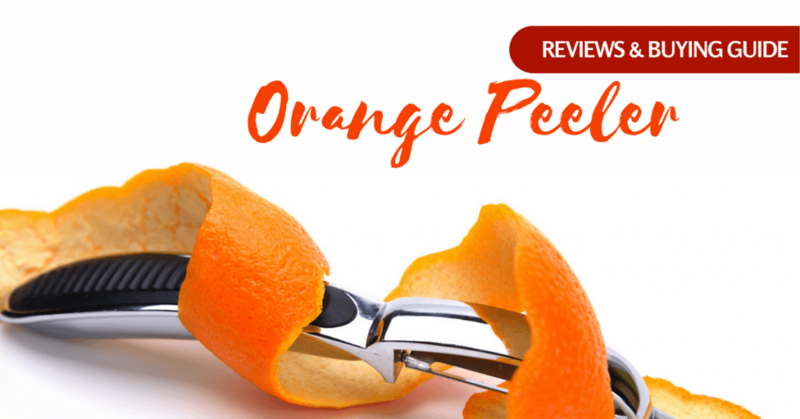 If you’re on a tight budget, but would still love to get an effective orange peeler, then you should definitely check out this highly affordable citrus peeler. What’s great about this citrus peeler is that it can be used to effectively peel all sorts of citrus fruits such as limes, lemon, oranges, and even tough-skinned grapefruits. Aside from its highly affordable price, another factor that made me include this orange peeler in this list is its ergonomic design. 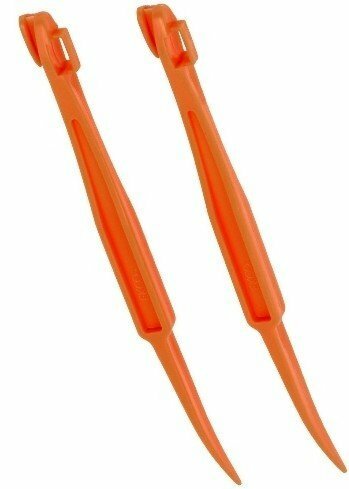 This orange peeler is very easy to grip, making it a great choice for peeling large batches of citrus fruits. Another interesting feature of this orange peeler is it’s extremely visible aesthetic. It comes in this bright green color that will allow you to instantly spot it in your bag or kitchen drawer. As for its downsides, this product isn’t really made to last for years. It can get worn out after a month or two’s use. It can also be a bit tricky to clean. The dishwasher alone can’t clean this product completely. You’ll have to use a clean rag or fine sand paper to effectively make it as good as new. You might have noticed that most orange peelers in today’s market look almost exactly alike. If you want to get a product that’s has a different looking design, then look no more. 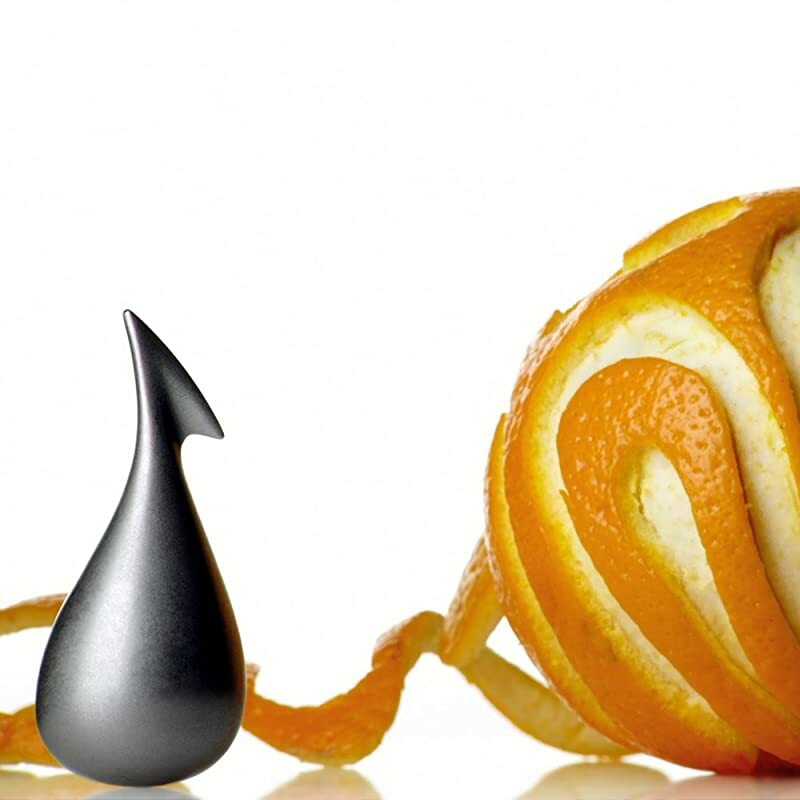 This apostrophe orange peeler from Alessi possesses a somewhat unique design that makes it look luxurious and tasteful at the same time. This contemporary orange peeler doesn’t only look great, but it performs well too. Its unique angle allows for quick and easy plowing through any kind of citrus fruit including tough-skinned grapefruits. What I like about this orange peeler is its overall durability. It is made of durable stainless steel that can last for years. Another thing I liked about this orange peeler is its easy-to-store design. This orange peeler has a perfectly balanced design that will allow you to leave it on top of your counter as if it was an artful centerpiece. Perhaps the only downside to this orange peeler is that it is only ideal for oranges. It’s also a bit more expensive than other orange peelers. Of all the orange peelers in this list, I highly recommend going with Luciano2-pc Orange or Citrus Peeler. Why? Because of the simple fact that it offers the best value for your money. This orange peeler is truly the best of the best because it can also be used to peel other fruits and vegetables. It’s also within the same price range as the other orange peelers in my list. Without a doubt, I can say that Luciano2-pc Orange or Citrus Peeler is the best orange peeler you can buy online.Have any questions? Leave us a message below and we’ll try to get back to you as soon as we can. Thank you and happy peeling! 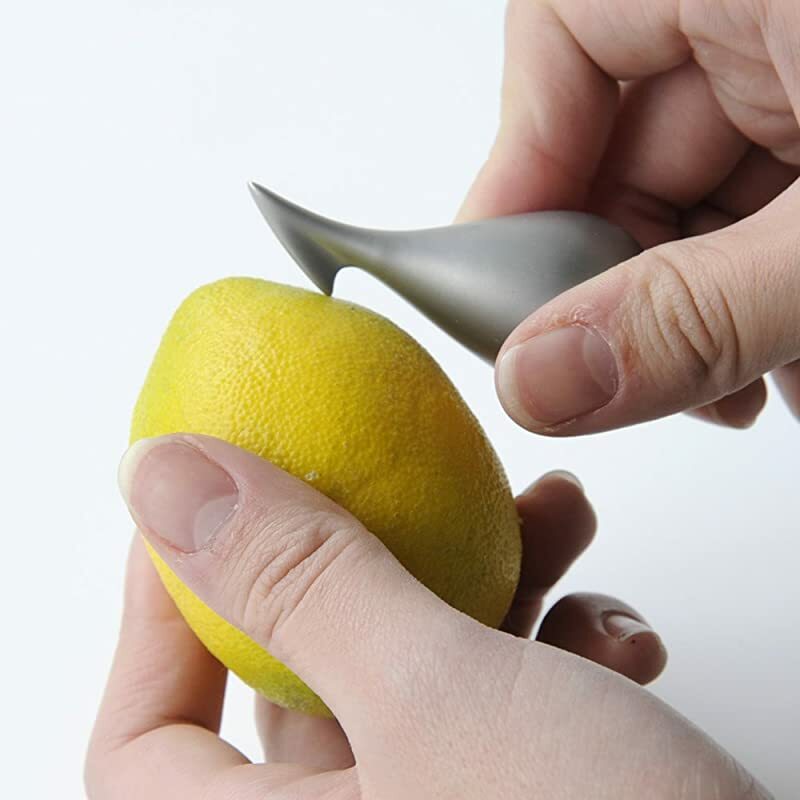 For more fruit peelers, check out our list of ﻿﻿cutlery gadgets.